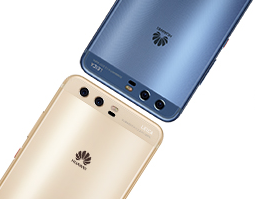 HuaweiJOHANNESBURG – INDUSTRY leader, Samsung, has experienced a contraction in its market share over the past year in the wake of increasing competition from Chinese brands. This is according to Gartner which meanwhile disclosed global sales of smartphones to end users returned to growth in the first quarter of 2018 with a 1,3 per cent increase over the same period in 2017. Compared to the first quarter of 2017, sales of total mobile phones stalled and reached 455 million units in the first quarter of 2018. Samsung’s mid-tier smartphones faced continued competition from Chinese brands, which led to unit sales contraction year on year. The firm sold 78,564 million smartphones in 1Q 2018, down from 78,776 million in the first quarter of the previous year. During the period, its share fell from 20,8 percent to 20,5 percent. Apple maintained second position with 54,058 million smartphones up from 51,992 million as market share increased from 13,7 percent to 14, 1 percent. According to Gartner, Huawei and Xiaomi remained the big winners. Achieving 18,3 per cent growth in the first quarter of 2018 helped Huawei close the gap with Apple, said Anshul Gupta, research director at Gartner. Huawei sold 40,426 million smartphones in 1Q2018 from 34,181 million in 1Q 2017. Its market share grew from 9 percent to 10,5 percent. Gupta stated Huawei’s attempt to grow its premium smartphone portfolio with its recent launches of the P20, P20 Pro and Honor 10 helps raise its competitiveness and growth potential. Xiaomi was the clear winner of the first quarter, achieving a growth of 124 percent year on year. Its refreshed portfolio of smartphones and aggressive pricing strategy helped it hold fourth spot in the first quarter of 2018. “This strategy led Xiaomi to achieve 330 per cent growth in the Emerging Asia/Pacific region,” said Gupta.